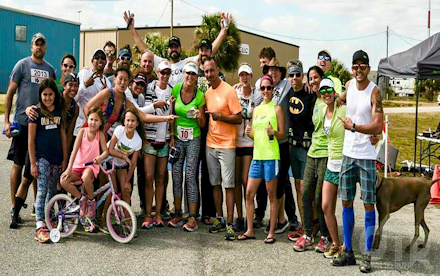 The fastest first two miles of any race - guaranteed. 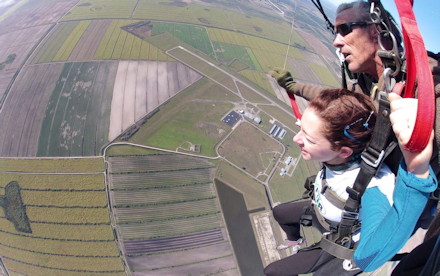 The Texas Skydive Ultra course is a single loop measuring approximately 3.5 miles. It’s a comfortable grass path that meanders around the dropzone and parachute landing area and through the local farming fields. There is no elevation change what-so-ever (aside from the 13,500 foot descent at the start). Drop and Give Me 50 - Full Video(revised) from Smith Jean-Baptiste on Vimeo. 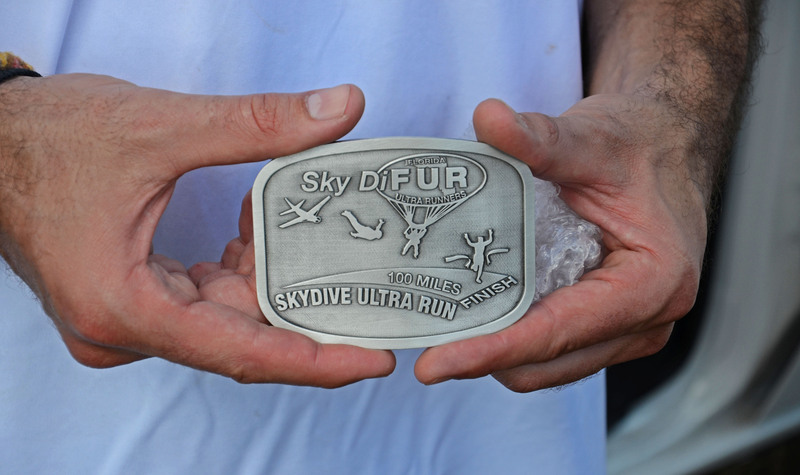 Race Times: The runners that are not skydiving (run only events) start at the posted times for their distances. Skydive runners start have suggested start times but will likely change as we get closer to the event based on weather, wind, final jumper counts, clouds and more. Be attentive to emails and facebook posts leading up to the event and be prepared to hurry up and wait. If patience isn’t one of your strong points, this probably isn't the race for you. We will organize the plane loads by your race event distance grouping. It’s critical that I start the contestants with their running group. Please don’t ask to be grouped with a friend in a different event/distance. Can I skydive with my friends? We organize the plane loads by your race event distance grouping and registration times. It’s critical that I start the contestants with their running group. If you register for the same distance and at the same time/day there’s a high likelihood that we can make this happen however I can-not promise this. Please don’t ask to be grouped with a friend in a different event/distance. 50M - 14 hours. Please note 15 loops. Actual distance is approximately 52.5 miles. 50K - 10 hours. Please note 9 loops. Actual distance is approximately 31.5 miles. 26.2M - no cutoff. Please note 8 loops. Actual distance is approximately 28 miles. 13.1M - no cutoff. Please note 4 loops. Actual distance is approximately 14 miles. 10K - no cutoff. Please note 2 loops. Actual distance is approximately 7 miles. 5K - no cutoff. Please note 1 loops. Actual distance is approximately 3.5 miles. Please like our facebook page - as the race nears, the latest updates will be done through the facebook page. 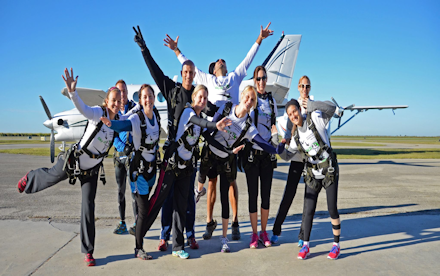 Licensed skydivers are invited and only need to pay for the run-only event (then you pay the DZ directly for your fun jump). You will need to bring your logbook showing you’re current and your gear (or rent). You can jump as much as you want before, during or after the event…..We only ask that you plan on skydiving with the others (tandems/solos) in your division for the start of your race. There’s no way to track the solo jumpers in the signup process, so I will ask and need to be reminded before the event to ensure you’re manifested properly for your event. We will have the typical aid station food and supplies. You can anticipate some fruits, some chips and salty stuff, some soda options, sammich's, candies, Vaseline and salt pills. If you need or like anything specific I highly recommend you bring it yourself to ensure you don't go without. The weather in October in Rosharon, Texas is usually fairly mild and nice. The temperatures are generally in the low 50's in the early am and evening and will reach the 80 degrees at mid-day. 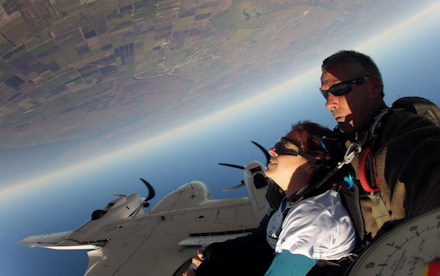 If you're skydiving you will likely want to have a pair of pants and a long sleeve shirt. The temps are about 20-25 degrees cooler at 13,500ft. For skydiving the key is to be comfortable. A pair of jeans, stretch pants, sweats, etc are common. Be sure to have lace up shoes, vibrams or other type of fully enclosed footwear. It's our goal to have everyone start the race with a skydive. If that's not possible due to weather conditions, it is our intention to provide everyone an opportunity to jump at some point during the day/event (weather allowing). As such, if the weather is bad in the beginning of the day and clears up during the middle of the event, we will offer you the option of stepping off the course for a quick jump (the race timer will stop when you leave the course and restart when you re-enter the course). In the event of a complete washout with no opportunity to jump all day, we will provide refunds to people from 200 miles away (or more) that are forced to leave town and head home (bringing and showing your airline ticket and driver license would be a good idea). Local Texans will receive a rain check good to come back for a tandem any time. Due to the challenging logistical nature of this event, please do not ask to be grouped in a jump plane with someone running a different distance. Camping, bathrooms and showers will be available on site. We will have games and activities for the kids and non-runners as well. It's set on a contained grassy lot with no traffic so you can bring the family, some lawn chairs and spectate the landing zone and runners. Makes for a perfect day. 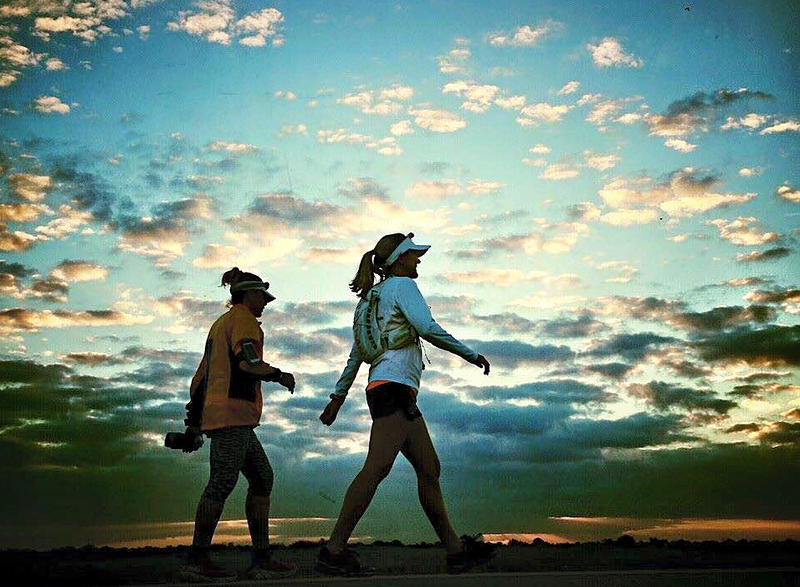 The race you start is the race you finish (or dnf). There will be no distance adjustments (moving up or down) once you cross the start mat. I have the utmost respect for those runners that challenge themselves. Don't be afraid to dream big and fall short. Only be afraid of staying in your comfort zone. I promise you'll have more support and motivation than needed at this event. No transfers (race entry) or refunds in final 7 days before the event. We will organize the plane loads by your race event distance grouping. It’s critical that I start the contestants with their running group. Please don’t ask to be grouped with a friend in a different event/distance. You don’t need anything special for the jump except to dress comfortably. You need closed shoes (no flip flops or sandals). You should likely be prepared for cooler weather and have jeans, long sleeve shirt (maybe a sweater) and a pair of gloves. Due to the related costs incurred for the event we are not able to process and refunds in final 30 days. 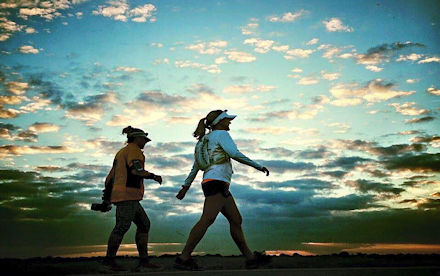 We can offer the option to defer to the next year’s race for a $35 fee. There’s no refund in the event that a race is not put on the following year. Due to the related costs incurred for the event we are not able to process transfers or distance change requests in the final 14 days prior to the event. The location is extremely friendly to children and non-runners or jumpers. There's tons of skydivers to watch as they land and there’s a grill and food station onsite and the people are incredibly friendly. Additionally there's a giant grassy area perfect for kicking a soccer ball, tossing a Frisbee, hanging out in lounge chairs and so on. We encourage you to bring friends, family members and even pets are welcome at the facility. Except lemurs....those little things freak me out. For reference, Rosharon is 30 minutes south of Houston, 3.5 hours east of San Antonio and 3.5 hours south of Dallas. William P. Hobby Airport and George Bush Intercontinental Airport are both about 30-45 minutes away. The race is chip timed. © 2015 Perconti Data Systems, Inc.